Imagine if you’re working steadily at work, your productivity is shooting up, and suddenly the AC unit stops working. These things never happen on cool, comfortable days – they always happen when the unit is working too hard, which means you’ll likely be stuck on a blazing summer day and the humidity will be sky-high. Nobody likes to work in that kind of environment. We avoid feeling uncomfortable at all costs, and working in such an environment can impair our productivity. In fact, some companies even have it set in their guidelines that employees should be sent home of the AC unit breaks and is not repaired within a certain number of hours. Charlotte AC repair is important to residential and commercial properties alike. For those that are home when the AC breaks, it can be nerve-wracking to get comfortable while you wait for the Charlotte AC repair company to show up. For commercial properties, most businesses may need to close or open up all the windows – and even then, the day won’t be as successful. Charlotte AC repair companies help keep your business from having to shut down for the day as a result of crazy weather and an overworked unit. We’re here to help maintain your appliances so that they keep running even if it feels like a sauna outside. Whether you need some regular maintenance to prevent these kinds of problems or need some emergency service right away, feel free to give us a call. 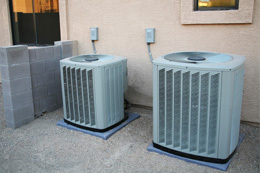 Your AC unit is more important to your everyday lifestyle than you think.